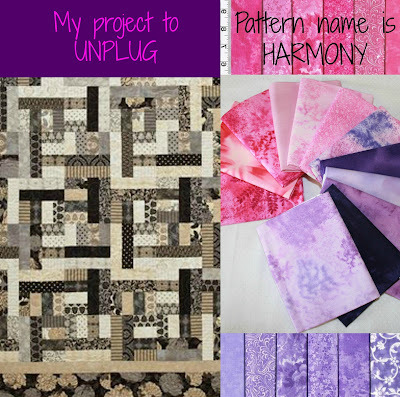 I'll never completely unplug, but I need some creative downtime away from the computer so decided to start a new quilt. Those of you that know me well will laugh because you know I'm not a pink person and this quilt will have A LOT of pink in it. I thought the pattern choice was apropos also, it's name is HARMONY.